A CENTRAL Queensland couple who gave their son cannabis oil to treat severe autism say they feared they would end up in jail. Both Stephanie Lee Mackay, 26, and Jamie John Blake, 31, faced maximum terms of prison of 25 years for administering cannabis oil to their six-year-old severely autistic son, Callum, without a prescription. The couple were charged after police raided their Calliope home on November 3, 2017. On Monday, the pair pleaded guilty in the Supreme Court in Rockhampton to one count each of aggravated supply of a dangerous drug, one of producing a dangerous drug, one of possessing a dangerous drug and one charge of possessing items used in the production of a dangerous drug. Mackay pleaded guilty to one further charge of possessing drug utensils. 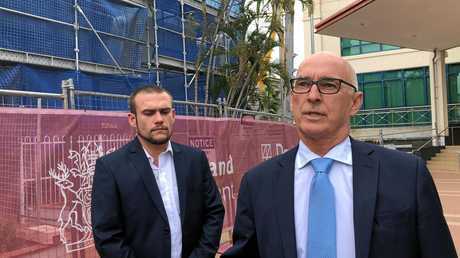 Blake's defence barrister Paul Smart submitted documents to the court including one from law graduate Debra Sands about difficulties people in Queensland have in getting a prescription for medicinal marijuana because of red tape. Another letter from deregistered Sydney doctor Andrew Katelaris - who has been dubbed "Dr Pot" and was found not guilty last month of manufacturing and supplying a large commercial quantity of marijuana and dealing with the proceeds of crime - stated he had given Blake medical advice in 2016 in relation to treating Callum with cannabis oil. "There is talk afoot of removing the red tape to access medicinal cannabis," Mr Smart said. "This legislation is now in a state of flux. If Parliament had been up to speed, this offender would not be here today." 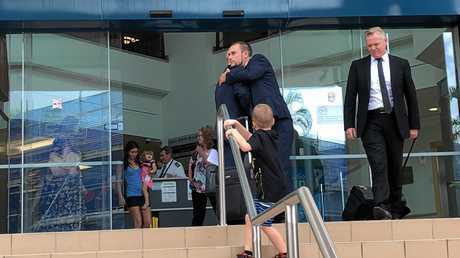 He said his fees and his instructing solicitor Shane Ulyatt's fees were covered by public support for Blake and Mackay. 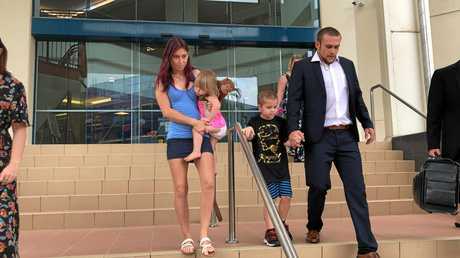 Mackay's defence barrister Jordan Ahlstrand said her client was concerned about adverse thoughts that she was not a good mother. "These are people whose acts were well intentioned," he said. Justice Graeme Crow said the fact the couple made full admissions to police when they arrived with the search warrant, the fact they had sought medical advice before administering cannabis oil and that there was no evidence of Callum suffering any injury as a result, showed the parents did what they thought was best for their son. Police found a syringe inside a safety container locked in a briefcase in the parents' bedroom along with a small bud of marijuana, glass water pipe, and sharps kit. They also found three marijuana plants in a blue shopping bag in the garage. The plants were 30cm tall and weighed 7kg in total. Police also found an insulated tent, electrical cable, air pump, lighting, timer and fertiliser. The court heard Blake, who is self employed and installed shade sails at schools, lost his Blue Card as a result of the charges. Blake intends to reapply for his Blue Card after yesterday's proceedings where he was ordered to pay $400 in fines, and Mackay $500, with no convictions recorded for either. Outside court, Blake said he was relieved it was all over after expecting to be sentenced to jail time. He said he would advise others in similar positions to seek medical advice and do their research. "His (Callum's) frustration levels were near non-existent. He started talking clearer. Socially acceptable," Blake said. "It worked. We will be lining up... we will be one of the first people lining up when the red tape is cut to get a legal prescription." 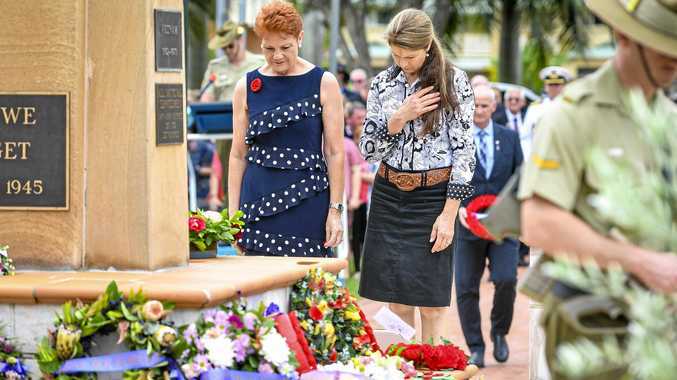 Mr Smart said Central Queensland was lucky to have a "wise and generous" judge in the Supreme Court in Justice Crow who "imposed sensible minimal sentences on this offender who was only trying to do the best for his children". "Today was a great day in the criminal justice system," he said. premium_icon EXCLUSIVE: Why aren't Bundy doctors prescribing cannabis?